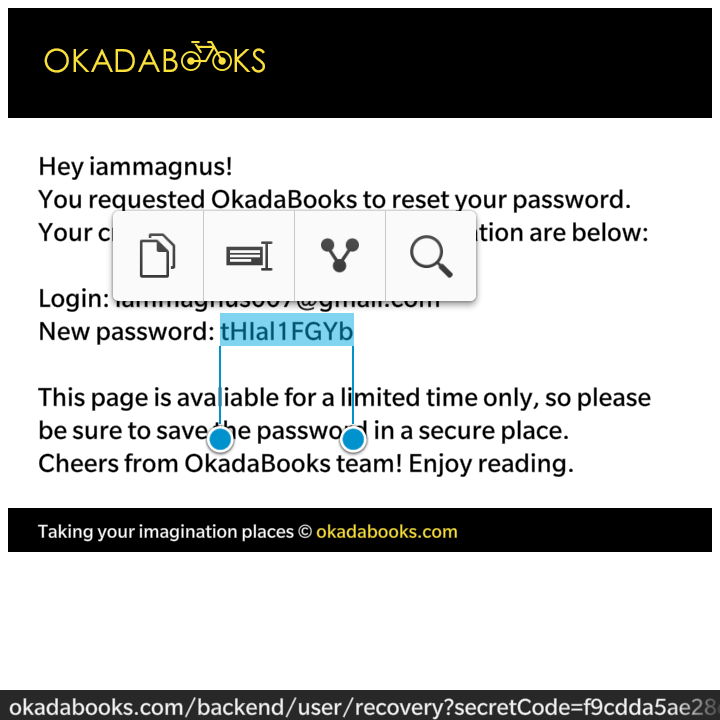 Recovering your password on the Okadabooks App is really easy provided your internet connection is dead turned on and the email address you signed up with is a valid one. 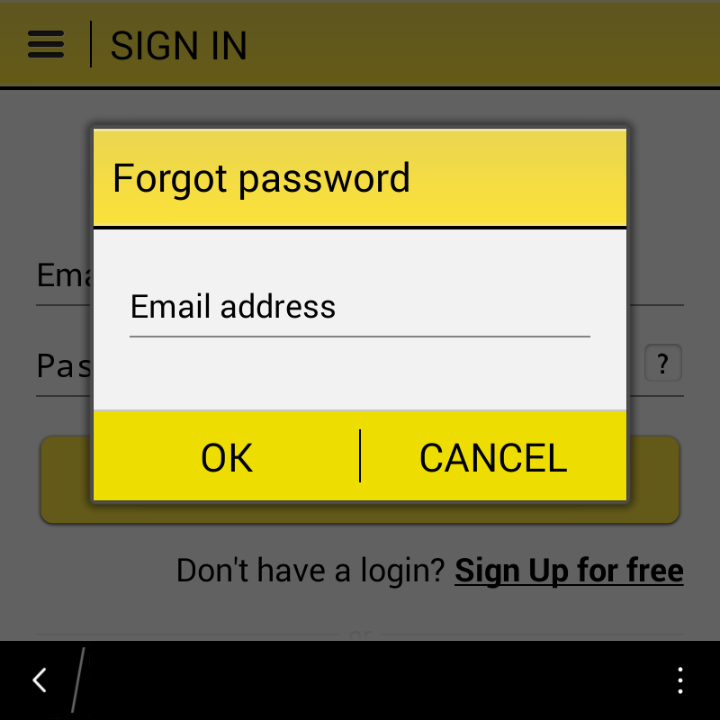 You could either recover your password from the Website or with the App on your device. They’ve both been tailored to ease your recovery. Launch the Okadabooks App. You’ll land on the “Sign In” page. Click the little “?” opposite the password textbox. You’ll be given a “New Password” to sign into your account with while your email address stays unchanged. 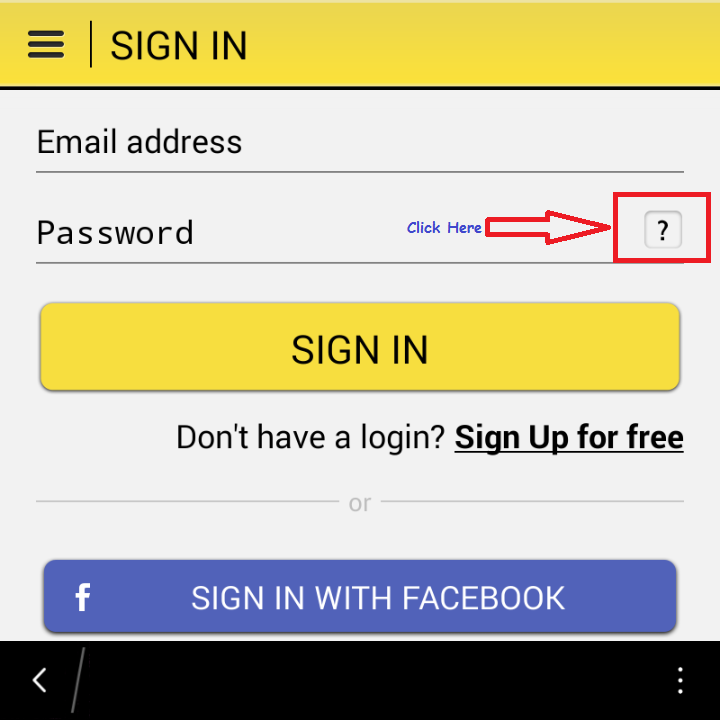 Copy the new password and Sign in with it. As advised in the new password page, you can save the password in case you’re signed out from your account any day. Okada pointer:On Okadabooks.com you can also follow the same steps by clicking the “Forgot password” on the Sign In page.